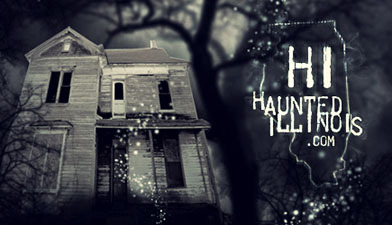 Welcome to the HauntedIllinois.com mobile site. Haunted Illinois is your online source for everything Halloween and haunted in Illinois! This site features the internet's most comprehensive directory of Illinois haunted houses and Halloween events. If you are looking for haunted houses, haunted hayrides, haunted trails, cornfield mazes, festivals, home haunts or yard displays, they are listed in our Haunted Attraction Directory. We also provide reviews of Illinois haunted houses (from our dedicated team of reviewers and visitors of this site), as well as Haunt Industry event reviews, Halloween prop ideas, links to hundreds of Halloween-related websites, Haunted House Industry information and more! Our "Real Haunted Places" section features a large archive of ghost stories & paranormal investigation reviews, as well as individual directories for Illinois Ghost Tours, Illinois Paranormal Groups and Real Haunted Places within the state. Attention haunters! 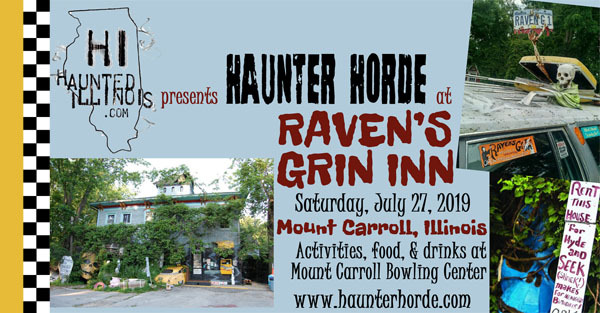 Haunted Illinois’ 2019 Haunter Horde Gathering will be held on Saturday, July 27th, 2019. Mark your calendars for this grand event! There will be food, drinks, vendor prizes and the iconic Raven’s Grin Inn. Click on the banner above for more information. Our Halloween, Horror & Paranormal Event Calendar has been updated for 2019. Click Here to view the calendar of events. To add an event, send an email to info@hauntedillinois.com with the event details. To find our archives and features that were created prior to 2016, visit the desktop version of this site by clicking here .